A minimum system has been made for monitoring the electric energy in a single phase kWh-meter for four load groups based on the Data Handling Payload (PDH) method. The purpose of this study, namely to obtain an integrated system based on Arduino MEGA2560 R3 microcontroller and measurement of the system performance. Method of obtaining the system is carried out through (i) making boards for sensor modules and relays; (ii) making boards for module of the driving the system; (iii) wiring integration of a number of boards and modules; and (iv) programming against the microcontroller system assisted by the Arduino IDE based on the PDH method. Method of measuring the system performance is carried out through verification and validation tests. Sensors and relays module consist of a voltage sensor, four current sensors, four relays, and a supporting electronic circuit. The integration module of a number of pins is functioned as an integration of all pins associated with pins on the microcontroller system with regard to input and output. Programming the microcontroller system is based on the determination of algorithms and the preparation of syntax. The verification test assisted by the Proteus application is carried out in the form of simulation of the provision of artificial conditions in the form of the value of voltage, current, and the amount of time for the acquisition of energy values. Simulations are carried out on each path of the load group. A verification test is the determination of the linearity of current and voltage values. 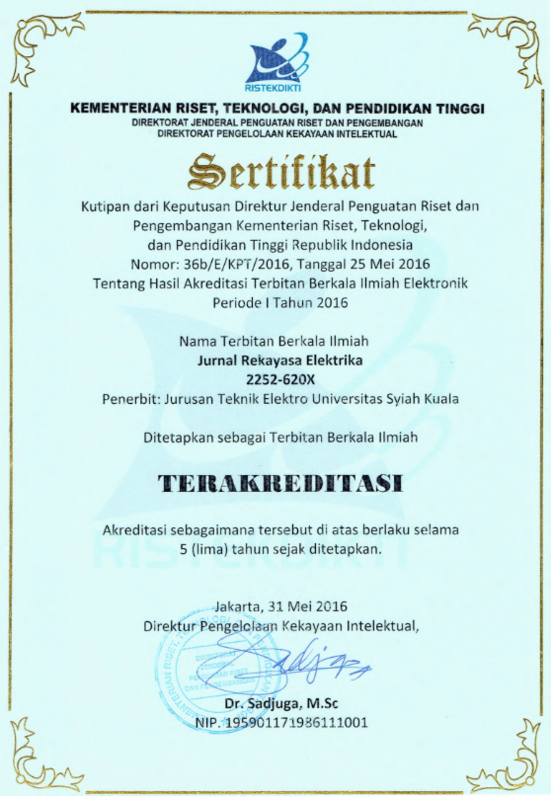 Based on the validation test, it is obtained the kWh values and the amount of electric energy costs (in rupiah) that are monitored at any time and can be printed every time or monthly.